More than 200 pet owners/lovers attended, most with their four-legged best friends, and some came out just to walk, enjoy and show their support. The event was a huge success raising over $29,000 for the Kent Animal Shelter's programs to help homeless animals. Photo by: Kent Animal Shelter, via YouTube. Calverton, NY - September 28, 2016 - Kent Animal Shelter’s annual Wines & Canines was held Sunday, September 25 at the Baiting Hollow Farm Vineyard in Calverton. More than 200 pet owners/lovers attended, most with their four-legged best friends, and some came out just to walk, enjoy and show their support. Contests, prizes and raffles added to the fun. 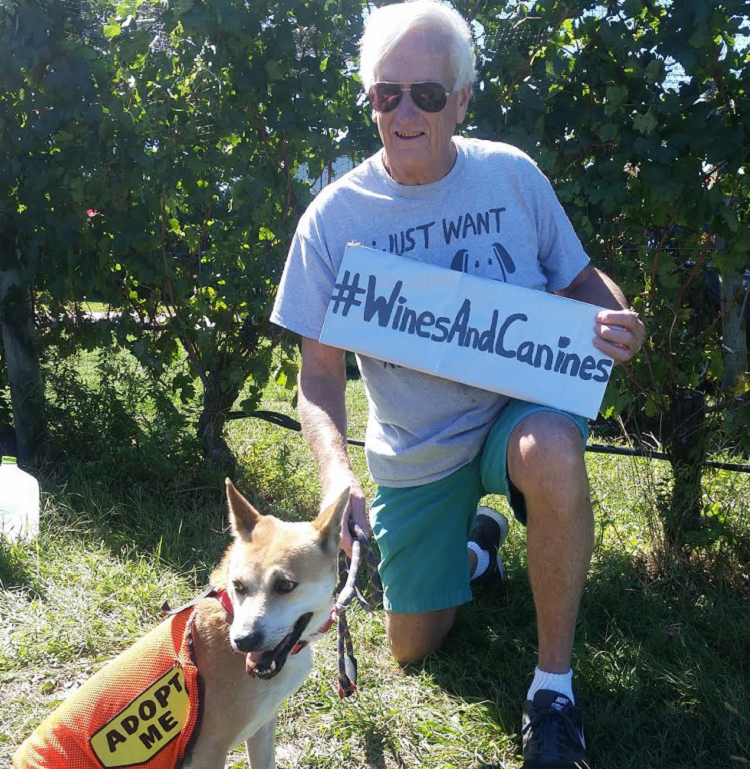 "Thanks to our wonderful friends and supporters, Wines & Canines has become an instrumental event that helps to fund our rescue program that removes animals from crisis situations and gives them a second chance for a new life,” said Pam Green, Kent Animal Shelter's Director. Pictured: Kent volunteer with Thailand meat trade rescue "Dixie" enjoying the day. Kent Animal Shelter is a 501C3 organization establishd in 1968 in Calverton, NY that provides a no-kill haven for homeless animals, adoption services, a spay/neuter clinic, and humane education. More information is available at www.KentAnimalShelter.com. Subject: LongIsland.com - Your Name sent you Article details of "2016 Wine & Canines Run/Walk for Homeless Pets a Success"